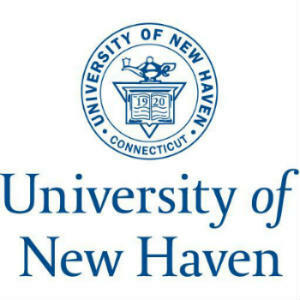 As a modern dental office in Orange, just five minutes from UNH, we have dozens of patients who are employed by the University of New Haven. And over the years, we’ve had the privilege of seeing treating dozens of students throughout their student lives at UNH. With our convenient location, flexible hours, modern and clean office, and friendly staff, we’ve become the “go to” dental office for nearly all individuals associated with the University. We Accept Your Insurance. Faculty and staff are offered dental insurance through Met Life (more formally called Metropolitan Life PDP or Preferred Dentist Program). We are experts with your insurance and we know how to maximize your benefits and reduce your out of pocket expenses. Just call and ask to speak to either Jenn or Sarah. Family Friendly Office. Many faculty and staff have family with kids. We are experts with kids and can accommodate your entire family. Convenient Location and Hours. With an easy location just off the Post Rd in Orange, and convenient Saturday and evening hours, we make it so you don’t have to take time off of work to come see us. We can handle college student dental emergencies. Whether it’s an infected wisdom tooth that needs extracting, a broken or lost filling, cosmetic bonding before a big job interview, we can do it all. We can work with nearly all dental insurance. Students have all different types of dental insurance. 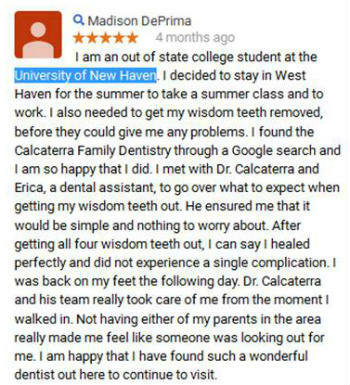 We’ve worked with dozens of different dental plans that UNH students have had. We also participate with Husky for those 20 and younger. In nearly all cases you get the same coverage as if you went to your dentist back home. Easily Accessible Office. We are a five minute drive from the West Haven campus. Just take the Post Rd into Orange. And we’re also accessible by public transportation. See here for driving directions. Overdue for a cleaning? Have an urgent problem? Call us at (203) 799 – 2929 or visit this page to request an appointment.